The horses are still clip-clopping in my head, the piercing cascabeles echoing throughout the street. At the first hint of azahar and Spring in the air, my feet find themselves marking out the steps to sevillanas, and I start making plans for Seville’s fiesta más alegre. Every experience at the Feria de Abril is different, and each year I live it in a different way. It has to be said – the feria isn’t for everyone. Several other blogging friends of mine cry out about the private casetas, open by invitation only, about the inflated prices of food and drink, and even about the dusty alberothat gets onto their dress ruffles. But I love it. I’ve been to other ferias in other cities – Córdoba, El Puerto de Santa María and Jerez de la Frontera – but nothing quite compares to first time you see the portada lit up, or the feeling of waltzing into a caseta without a word to the door guy. I adore Feria during the day and I rock out at el Real until the wee hours of the morning. As the date of the alumbrado gets closer, the ganas I have to dress up and dance seem to skyrocket exponentially. At no other point in the year do I feel more sevillana or ready to drink it all in (and I don’t just mean the rebujito). You know what they say: Yo quiero cruzar el río para bailer sevillanas! 5. Watching the Alumbrado at Josele’s house (2010 and 2011) For several weeks leading up to the fair, workers construct a huge wooden gate, erect temporary houses and string paper lights up on streets named for bullfighters. Ya huele a Feria, y olé, ya huele a Feria. When I gave class at Edificio Presidente, which sits just in front of the main gate, during my first few years in Seville, I would watch out Javi’s living room window as the Recinto Ferial began to take shape. “Javi, do you like living so close to the Feria,” I asked him one morning before he went to university classes nearby. “It’s the best during the alumbrado and when you want to stumble home, but you can get so crazy with the sevillanas music.”He had a point, but I made a mental note to find a friend with a house close to the portada to watch it light up – I’d previously seen it while being crunched between a million other people. The following year, my friend T was dating a sevillano whose family lived in the building next to Javi’s, and Josele invited us to bring a bottle of fino, plastic cups and 7-up to have a few drinks before midnight. I watched in awe as the larger-than-life NO8DO was lit up, piece by piece. People cheered and bands struck up all at once. I gulped down the rest of my rebujito and went to join the party. I waved at Leonor from across Gitanillo de Triana street. I would never forget the address of her caseta, as she’d texted it to me half a dozen times and repeated it over and over again in the months leading up to the fair. As it turns out, she and her family were across the street and one door down from Los Sanotes. It must have been six o’clock and just after lunch when I went over with TJ, who was visiting from Aragón. Leonor disappeared in the caseta and came out wielding a plate of jamón, a jar of rebujito and a few plastic cups. I reached my hands out for them, threatening to drop them into the albero, but she nudged me away with her hip. Jaime was my student and just 14 at the time. He came with a sleek horse carriage and climbed down to help me into it in my traje de gitana. Tim followed, and Leonor handed us the food and drinks. I tried to refuse the plate of ham, but she insisted, saying we would need it to reverse the effects of the sherry and 7up mix. Jaime and his two horses took us along the official carriage route, which snakes its way around the fairgrounds from noon until 8pm. From this vantage point, we could see the whole party comfortably while snacking. Taking a spin with them is something I do yearly, but I’ll never forget how cool it felt to be sitting high up, close enough to touch the farolillos that line the streets. Plus, I saw the Duquesa de Alba and FLIPPED out. I’ve had my fair share of tipsy moments during the fair. Ha, oops. Even those “Oh, I’ll just go for dinner and come back at a reasonable hour” days seem to stretch on forever. There was the time Fernando’s nephew took Kelly and I around the fairgrounds for 12 hours, or when I was invited into the largest caseta of them all, or when my students treated me like a princess (as in, they fed me jamón and beer for a few hours). The same day that I rode in a coche de caballos for the first time, I went from classy to trashy in what is, without a doubt, the best night of Feria in my six years going to the Real. As soon as Jaime had whisked us around, I called to meet up with my guiri girlfriends. 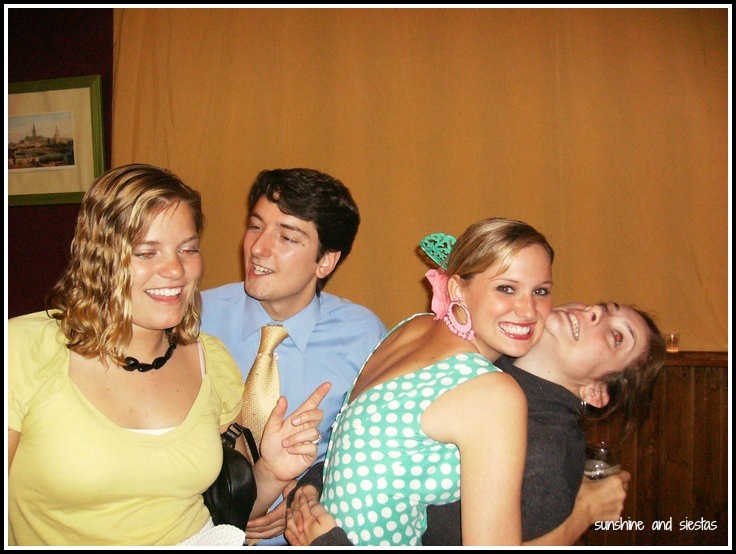 Meag, Jenna, Bri and Tiana were all at the same caseta, where the socios was one of T’s friends. 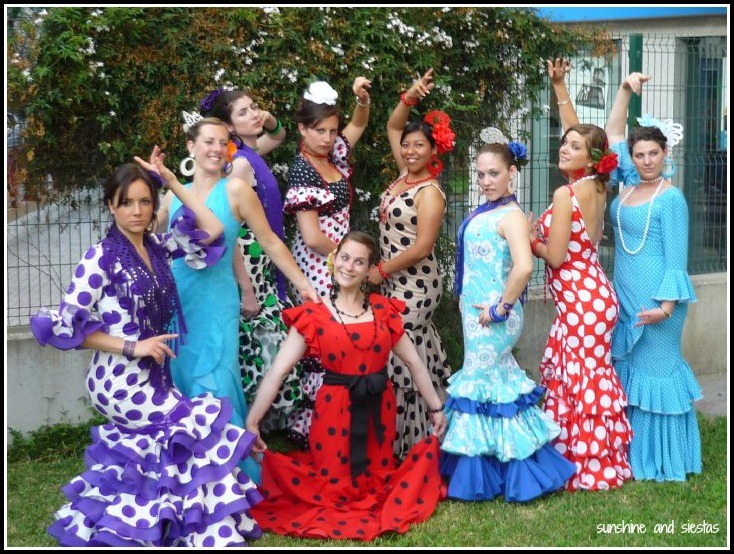 There were no sevillanas playing when we arrived – instead, people were doing body shots off of one another in something more reminiscent of Spring Break Acapulco than the Feria de Abril. I resisted the body shots, but we were given mixed drinks for only 3€. For the rest of the night, we bounced around from one tent to the next, chattering away, sharing plates of food and passing around jars of rebujito. Around 4 or 5 in the morning, just as the tents were closing down, Meag, TJ and I strode to the churros stands at Calle del Infierno. Exapserated, Meag wished for “la penúltima” beer, a common Andalusian phrase when your real plan is to keep drinking all night. We drank down the cold beers with the greasy churros (yeah, I know, ick), bought some gummies and started the slow procession home. Slow in the sense that it took us TWO HOURS to walk a kilometer back to my apartment in Triana. I blame Joey the Little Chicken for such antics. Susana handed me another beer and asked if I was enjoying my first Feria. Despite dressing like a complete fool, I was enchanted and thrilled to have a place where I was welcome, regardless of whether or not I was a socio. “Llama a unas amigas,” she said, “so that they can see what Feria is like.” I pulled out my archaic mobile phone and sent a few messages around. Lindsay responded and said she’d be on her way shortly. I finished my beer and asked Isra for another. He made yet another tick on the Novio’s tab and gave me a wink. “A que esto de mola, eh guiri?” Thirty minutes later, an exasperated rubia sidles up next to me at the bar. And thus, the greatest social club of my fellow extranjeros was born. We’re considering putting our names on the list for a caseta just as soon as the fairgrounds are expanded to Charco de la Pava. No more chico frito or tortilla – we’re stocking that tent with chicken fingers and hamburgers! My most memorable Feria de Abril moment came from a drunk socio of Los Sanotes, who has forever immortalized me – at least to my sevillano friends – and still makes my students laugh when they ask me to retell it. Late one night during my second fair, I asked Manolo at the bar for another beer. “Should I add it to your boyfriend’s tab?” he asked, winking. Not a second later, a drunk, balding socio who reeked of whisky and fried fish was offering to pay for my drink. He looked me up and down and made kissy noises while the Novio snickered behind me. “Olé, from Chiclana, right near the beach. That’s nice. Olé.” Drunk socio had confused my hometown with a beachside resort town called Chiclana de la Frontera, thousands of miles away from my beloved Sevilla. I could see the Novio and his friend Alfonso making a slow exit to leave me to my own devices. By now, I was wedged in between the bar and one of drunk socio’s sausage arms. Avoid his gaze (and whiskey breath), I answered: “Nooooo, de She-cah-go!” I corrected him. And that’s how I became known as the gitana from the American town with the most rate, a nickname that sticks with me to this day. 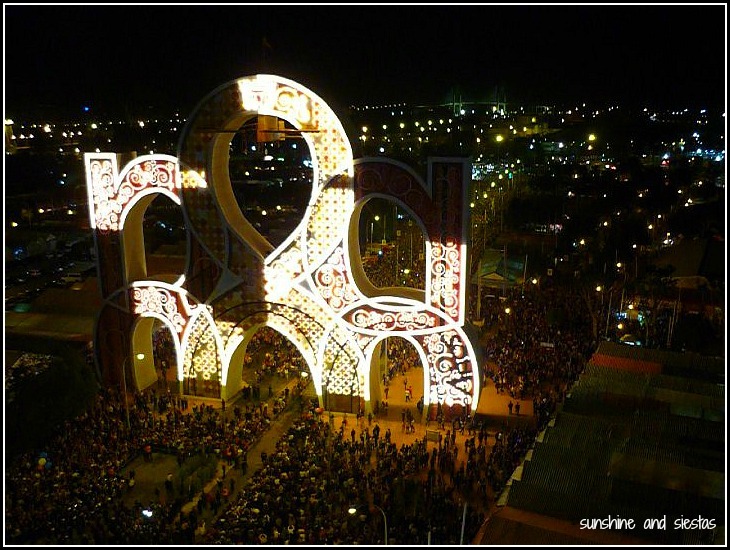 Feria begins officially on May 5th at midnight when the mayor switches on the main gate’s 10 thousand plus lights. Don’t be fooled by the local name – Feria de Abril – we stick to tradition and start partying two weeks after Easter Monday. If you’re going, remember to dress sharply and bring enough money to cover your food and drinks. 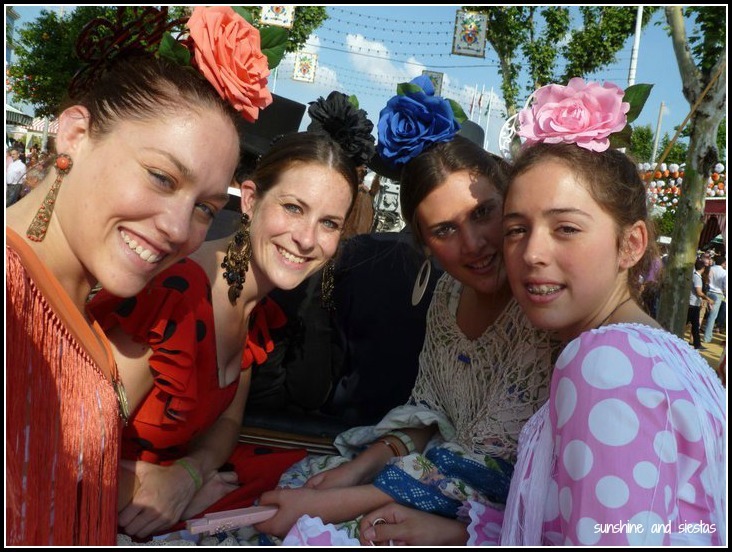 For more, check out my Dos and Don’ts of Feria, or how to buy a flamenco dress and its accessories. You make feria seem very fun. I have friends that live in southern Spain, I’ll have to make sure I visit them next year. How do you know which weekend it is going to be? Corinne, most fairs last more than just a weekend! Seville’s is the third Monday after Easter Sunday, and most small town fairs coincide with a patron saint, or sometimes just placed on a random day that doesn’t coincide with other major fairs. Jerez is always the second week of May, Córdoba’s the last and El Puerto in between, in most cases. I love the fact that one of your teenage students was the driver of your first ride in a horse carriage! The way it’s meant to be. Jaime loves horses, so it makes perfect sense! Viva la feria! Looking forward to all the photos. I had a great first time as a full on guiri. Luck perhaps? Or maybe not caring that everyone said I wouldn’t get in and I wanted to prove everyone wrong! Thanks! I shall fondly remember you when I chow down on buñuelos. This are hilarious memories that make for great stories! I’m looking forward to partaking in all the festivities once I’m in Spain and hope I can hold them so near and dear to my heart as you do with the fería! 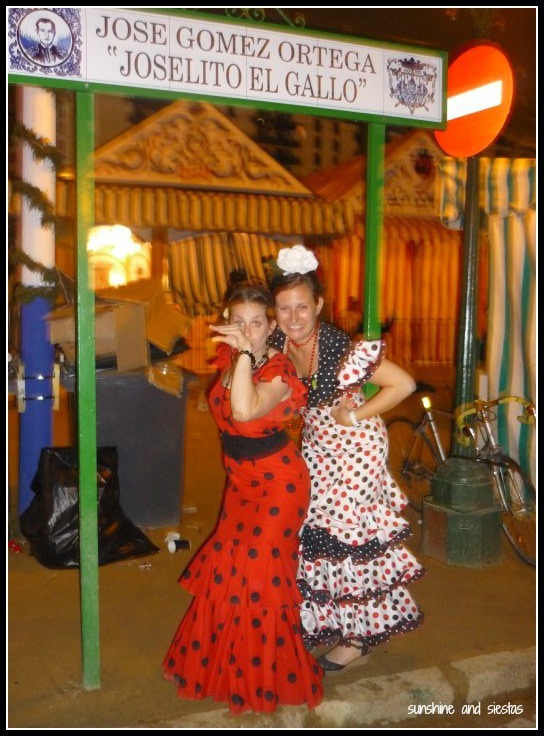 Feria is a guise for the pijos to let loose…it’s such a mess! I wish I could skip work today and go! Seems funny with it beginning on Cinco de Mayo this year – this would really confuse televised American sorts that don’t know the difference between Mexico and Spain. Ay yi yi. Have a fantastic time. I hope there’s a moment this year you can add to the list! It’s got nothing to do with Mexico or anything else but Resurrection Sunday! The people who plan the fair wanted to have it just one week after Holy Week, but tradition is tradition, even if the fair is in May. Blame Lent. I feel like I was transported right to Feria, all the way from Sydney! I’ll just have to live vicariously this year. Have so much fun! Kirstie recently posted..So You Want to be Fluent in Spanish? Thanks! 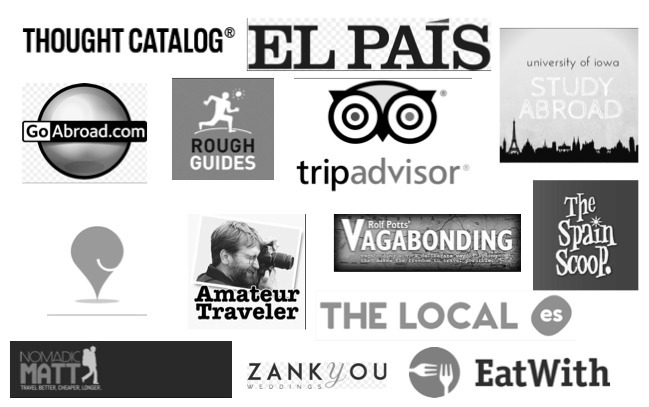 Guiris like us love the Real! Hahaha, Chicago de la Frontera. This sort of reminds me when Spanish bureaucracy decided to relocate my birth town of Princeton, New Jersey on my Certificate of European Residency (or whatever it is called in Spain) to Princeton, New Jersey, France. I think I stared laughing at the document for a good 5 minutes. I love your ladybug dress by the way! So chic. It’s fine, according to the DGT, I’m a year younger and my suegra has a different second surname! Oh, Spain. Chicago de la Frontera! So funny! I’ve still never been to Feria, but I’m dying to go. I don’t know if I could ever pull off a flamenco dress though! YES YOU CAN! They are so flattering and fun to wear! I always get roped into the penúltima!